So yeah, since I don't have any coursework to do, or a life of sorts, I spent my Christmas vacation playing Super Mario 64. I made it to the top tower. I then stopped playing and asked myself some very deep philosophical questions: Why would Bowser kidnap Peach when a shiny ring would do the job much better? Why does Mario wear a hat? Why isn't Luigi in this game? So I then came up with a few "answers"
Bowser is a cheapskate and can't afford to woo Peach with expensive gifts, so he shows Peach his "l33t kidnapping skillz" (quote from my Uncle Ben). Mario's hair is too ugly. Luigi was probably too busy trying to find a mansion. The point is: this post doesn't have a point and Mario is a tired title that will never receive any sort of innovation. They're Making Mario Party 9 for the Wii, for crying out loud! 9 of them stupid mini-game filled games with a few boards to make it look complete? And another Paper Mario for the 3DS? Talk about 2011 movies relying too much on sequels; nobody mentions this! 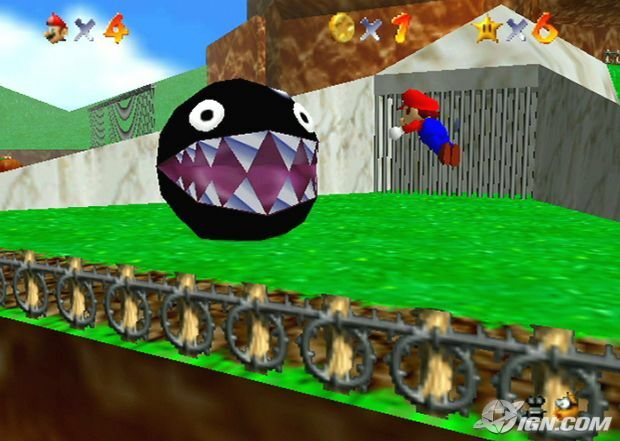 On a lighter note, my grandfather saw me playing Super Mario 64 on Christmas and told me how great the graphics are! Wish me luck on ?Pedia's contest thingy; I'm bound to fail! Interesting. Now, excuse my ignorance, but...do I need an emulator or something to play this?